At this time, the Company is still not in a position to estimate the ultimate consequences, financial or otherwise, if any, of that review. Since its appointment in the course of 2012 the Company’s new Management Board has taken extensive remedial measures in respect of people, procedures, compliance programs and organization in order to prevent any potential violations of applicable anti-corruption laws and regulations. Both it and the Company’s Supervisory Board remain committed to the Company conducting its business activities in an honest, ethical, respectful and professional manner. 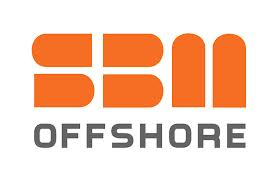 On April 10, 2012 SBM Offshore announced that it had initiated an internal investigation into alleged improper payments to government officials. The Company engaged Paul Hastings LLP and De Brauw Blackstone Westbroek to act as independent counsel to conduct the investigation. Paul Hastings LLP in turn appointed PricewaterhouseCoopers LLP forensic accountants (PwC Forensics). The investigators report to Sietze Hepkema, who is the Company’s Chief Governance & Compliance Officer, and to the Audit Committee of the Company’s Supervisory Board. Over the course of the two years since the beginning of the investigation, the Company’s Supervisory Board and its new Management Board have sought transparency in communicating on the internal investigation. In that spirit, the Company now wishes to share the findings of the internal investigation, as the investigators have completed their investigative activities. In its press release of March 28, 2013, the Company disclosed that the investigation focused on certain African countries in the period 2007 through 2011. At that time the Company also disclosed that there were indications that some payments were made to sales agents, which appeared to have been intended for government officials. The Company further disclosed that it also was investigating practices in a country outside of Africa. The Company now confirms that the countries concerned are Equatorial Guinea, Angola and Brazil. In the years 2007 through 2011, aggregate commissions to sales agents by Group companies totalled approximately US$200 million. Of those commissions, US$18.8 million related to Equatorial Guinea, US$22.7 million to Angola and US$139.1 million to Brazil, of which US$123.7 was paid to the primary agent in Brazil at the time. More detail on the findings in relation to each of these countries is set out below. As a general matter the use of agents serves legitimate business purposes. Since the start of the investigation, in early 2012, the Company has taken a large number of remedial actions, which included the suspension of payments to agents, reduced reliance on sales agents and the establishment of processes to improve possible vulnerabilities associated with the use of sales agents. These remedial measures are also described in more detail below. The Company voluntarily reported its internal investigation to the Dutch Public Prosecutor’s Office (Openbaar Ministerie) and the US Department of Justice in April 2012, and has been in dialogue with these authorities ever since updating them on the status of the investigation. The Company is presently discussing the disclosure of its findings with the Openbaar Ministerie, whilst simultaneously continuing its engagement with the US Department of Justice. These authorities will form their own judgment on these issues. New information could surface in the context of the review by these authorities or otherwise which has not come up to date in the internal investigation. At this time, the Company is still not in a position to estimate the ultimate consequences, financial or otherwise, if any, of that review. The scope of the independent investigation was determined based on the information gathered and reviewed by the investigative team and by the Company’s Compliance and Internal Audit Departments’ global review of the Group’s sales agents. The combined investigation and internal review has been global in nature, but evidence-based by focusing on issues that were identified through the course of the investigation and internal review. As a result, the investigators and the Company did not conduct a detailed review of the Group’s activities in every country where the Group does business. Over the past two years, the Company has cooperated fully with the investigation, providing Paul Hastings LLP, De Brauw Blackstone Westbroek, and PwC Forensics complete access to its records, files, electronic data, and personnel. In their investigation, Paul Hastings LLP, De Brauw Blackstone Westbroek and PwC Forensics have been assisted by an internal team that was led, from the date of his appointment, by Sietze Hepkema and included members of the Company’s Legal, Compliance, and Internal Audit Departments. Paul Hastings LLP and PwC Forensics, with the assistance of the Company, collected hard copy and electronic data, including imaging of hard drives and other electronic sources from certain current and former employees. Paul Hastings LLP has reviewed hundreds of thousands of documents that were identified as being potentially relevant to the issues being investigated. Paul Hastings LLP has interviewed numerous current and former employees in connection with the review into the Group’s activities in Equatorial Guinea, Angola and Brazil. The interviewees included (former) members of the Company’s Board of Management, and former and current employees in the Legal Department, Sales & Marketing Department, Accounting and Finance Departments and relevant project teams. In early 2012, the Company learned from a third party that one of the Group’s agents may have given certain items of value to certain government officials in Equatorial Guinea. Based on evidence identified during the course of the investigation, that agent may have made at least some payments to third parties. Those third parties may have shared all or part of the payments with certain Equatorial Guinean government officials. Aggregate payments by Group companies to the agent in relation to Equatorial Guinea in the years 2007 through 2011 totaled US$18.8 million, of which approximately US$10 million has now been repaid to the Group companies concerned after they requested the agent to return the money. The Company is unable to determine how much, if any, of the remaining amount was paid to government officials. In the period 2007 through 2011, Group companies used multiple agents in Angola, including the agent used in Equatorial Guinea. The Group companies concerned made payments to these agents in connection with their projects in Angola. There is some evidence that persons affiliated with at least one of these agents were Angolan government officials or were associated with Angolan government officials. There is also some evidence that the agent used in Equatorial Guinea may have made payments to Angolan government officials and that other items of value were provided to Angolan government officials and/or their relatives. Aggregate payments to sales agents by Group companies in relation to Angola in the years 2007 through 2011 totaled US$22.7 million. The Company is unable to determine how much, if any, of that amount was paid to Angolan government officials. The investigation team further conducted a detailed investigation into the relationship between Group companies and their main agent in Brazil, and companies owned by that agent and the agent’s family members and/or business partners. There were certain red flags but the investigators did not find any credible evidence that the agent made improper payments to government officials (including state company employees) in Brazil. Furthermore, evidence was found that the agent provided substantial and legitimate services to the Company, at a time when SBM’s permanent non-operational presence in Brazil was very limited (4 people in 2007 compared to 220 today). Aggregate payments to sales agents by Group companies in relation to Brazil in the years 2007 through 2011 totalled US$139.1 million, of which US$123.7 million was paid to the primary agent. At the outset of the investigation, the Company froze all payments to agents and conducted a review and due diligence on sales agents in all other countries. As a result of that review the Company decided to discontinue certain agents. Also, the Company decided to no longer use agents in countries where it has a presence. The investigation team also specifically looked at other countries covered by the agreements with the agent used in Equatorial Guinea and Angola but in its evidence-based approach did not perform a further detailed investigation into these countries. In order to prevent any potential violations by the Company of the applicable anti-corruption laws and regulations in the future, the Company has taken remedial action to enhance its compliance programme. The new Management Board, with the full backing of the Supervisory Board, has consistently emphasized the importance of compliance. The Company introduced new policies, processes and systems and established a Compliance department. In addition, the Company took a number of other steps (SBM Offshore).